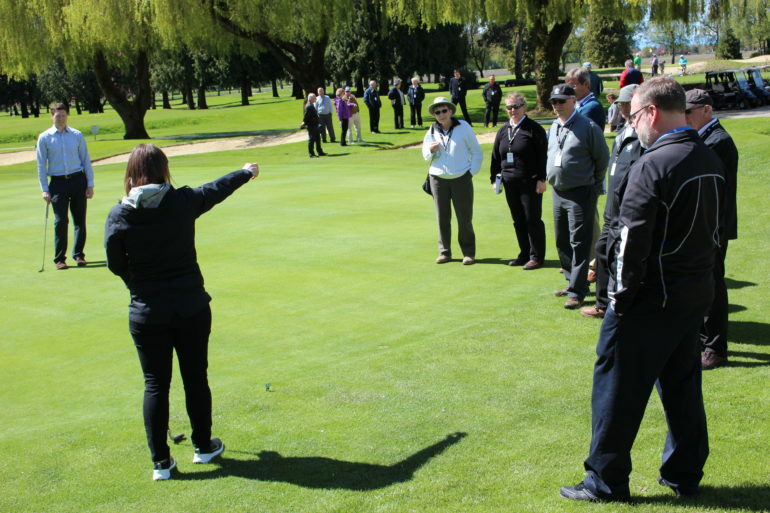 From April 27 – 30, Golf Canada held the second installment of its Tournament Administration and Referees’ School (TARS) at Richmond Country Club in Richmond, B.C. Participants arrived on the Thursday to write the Level 3 or Level 4 Rules of Golf exam in hopes of achieving the 85th percentile required to become a certified Golf Canada Rules Official. Following the exam, a reception was held at the Richmond Olympic Oval, where Vancouver hosted the 2010 Winter Olympics speed skating competitions. Upon arrival, guests were invited to the ROX Theatre where they viewed a short inspirational video, detailing the experience of what it would be like as an athlete pursuing the Olympic dream. The venue also offered participants the chance to try various interactive simulators, including ski jumping, bobsledding, and many more. Golf Canada also presented Bill Klein with the 2016 Volunteer of the Year award. Some of the highlighted topics included discussion on the Rules Modernization Project, insights and perspectives from players about the Rules of Golf, and a roundtable on the art of refereeing. The seminar also offered various practical demonstrations to supplement the lessons and topics covered in presentations. On course demonstrations gave TARS attendees the chance to utilize the knowledge they gained during the first two days of the conference. 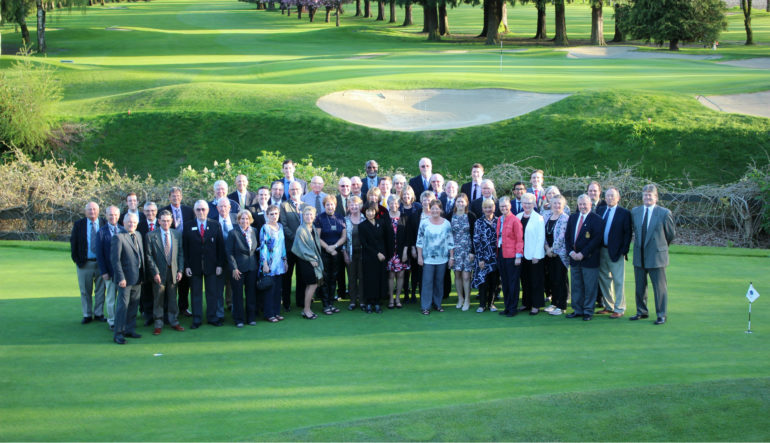 “I enjoyed meeting Golf Canada staff in person, most of which was for the first time. I was grateful for the opportunity to learn from others with a substantial amount of experience and wisdom,” said a TARS participant. On the final day of the seminar, participants took to the course for role playing sessions to test their application of the knowledge absorbed from the previous two days. Instructors would demonstrate different rules scenarios for groups and ask for a Rules Official to make a ruling. The role-playing sessions were well received by all participants, as it provided a valuable opportunity to experience what it would be like officiating in an actual tournament. A huge thank you to the instructors who did an excellent job sharing their experiences and instilling wisdom into the keen group of participants who attended. In addition, Golf Canada would like to thank Richmond Country Club for providing the extraordinary service and hosting the seminar at its beautiful facilities. Finally, Golf Canada would like to thank everyone who attended TARS 2017. There was a tremendous amount of great feedback that will be considered for the next installment. We hope to see everyone at future seminars as well as on-course officiating at events. Thank you for your dedication and support of golf in Canada. To view pictures taken throughout TARS 2.0, please click here.